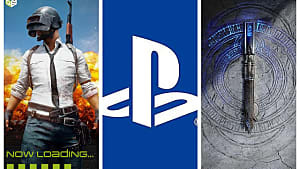 I think just about any Outward player can agree the game isn't perfect and has some pretty distinct issues that could be ironed out, but those playing on PlayStation 4 and Xbox One might have the biggest problem of all in the game's exceedingly long load times. If you've only played on console, you may be surprised to hear that the game doesn't persistently have huge load times on PC. Overall, load times on PC appear to be lower than on console, but with a caveat. There seems to be something with how the game retains or recalls item data that can cause player load times to slowly increase over time. Unfortunately, those playing Outward on console don't have that same slowly-developing benefit. From the very start of the game, standard PlayStation 4 and Xbox One owners are seeing load screens exceeding 30 seconds. Some are seeing load times over a minute, or even more. I've heard tale that PlayStation 4 Pro and Xbox One X see more reasonable loading times in the game. Congrats to them, because the load times on the standard console models are way out there in the "ridiculous" range. I can only speak as a standard PS4 model owner and can attest these load times permeate both single player and local co-op. 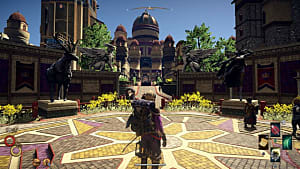 From the tiny intro area where you meet Yzan to the sweltering heats in Levant and its surrounding desert, Outward's load times on PS4 are consistently too long for comfort. One Steam user has done some investigating into the potential cause of the game's loading times increasing as one plays on PC. 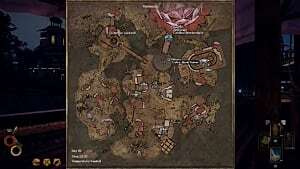 The result of their test seemed to indicate the game would attempt to load every item in their storage in Cierzo when entering the area, which was especially impactful in multiplayer. 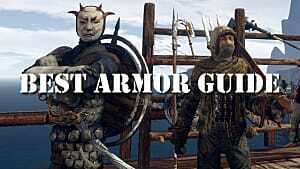 Something about this theory holds water in my experience on PS4, as you can see the game actively load item icons in storage or vendors on console. The game chugs a bit and you can see the items pop into a vendor's inventory and arrange themselves again, which is quite puzzling. The problem I've been experiencing on console is that the loading times are long no matter how much I have in my inventory, no matter where I am. Solo or co-op, whatever. It feels like a quarter of my play time is actually going toward loading. Load times on the standard PS4 are long whether I'm camping for the night, entering a tiny little dungeon, recovering from being knocked out, or prancing into Monsoon for some training. It doesn't matter what I'm doing; I know I'm in for a bit of a wait if there's a load screen involved. In most games, the repercussions for being knocked out or killed is some sort of in-game punishment or a game over. In Outward on PlayStation 4, your punishment is genuine boredom from having to sit and wait for the game to load again. 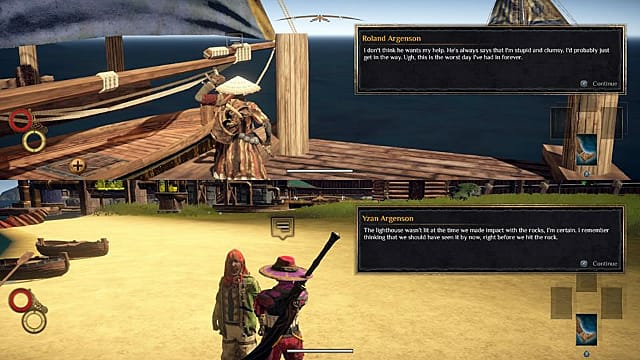 I'm having a really great time with Outward with both my solo and co-op characters, and hope the folks over at Nine Dot Studios see some of the player feedback concerning the console version and are able to reduce the load times, at least a bit. 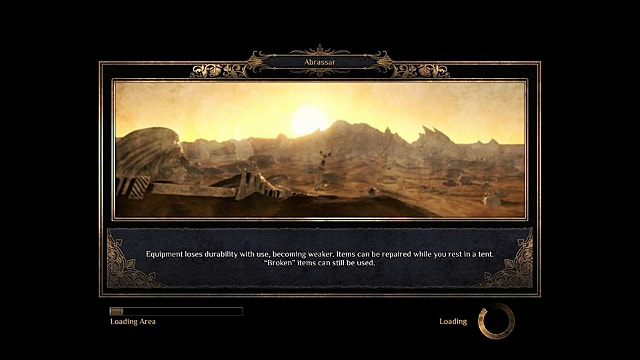 Nothing rubs salt in the wound after a bad encounter like staring at a load screen for a minute after. 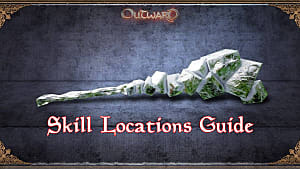 I'm slowly writing some guides for Outward, feel free to check them out if you're new to the game or are considering getting it. 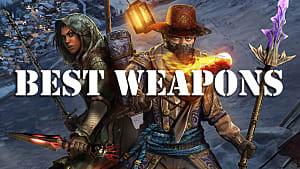 It's fun on any platform, but at the time of writing this article, I recommend sticking to PC.